After ANB’s refurbishing the stall configuration is to be mostly the same, except that there will be one fewer 50-foot stall and some of the skiff stalls will be eliminated. This will allow the other stalls to be widened, as well as lengthened, because boats are getting wider, Eliason said. More about both of these projects can be found at the Harbor Department’s page on the website cityofsitka.com. 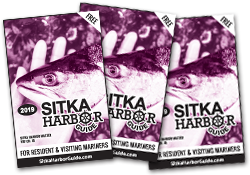 Last year, the city completed its Sitka Harbor System Master Plan and a pdf of the entire plan is available online. A hard copy is available at Kettleson library. Also of interest is a link to Frequently Asked Questions about the master plan. 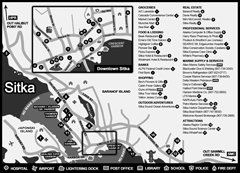 The link for FAQs is located below the link for the entire document. Finally, it seems the Sea Squirt Invasion of Whiting Harbor continues. Boaters are being asked to stay out of Whiting Harbor, so as not to give a ride to these hitchhiking invertebrates, also called colonial tunicates. Boaters that see any animal or plant that they think may be a pest are asked to note the position (GPS, if possible) and call the ADF&G Invasive Species hotline at 1-877-INVASIV. Or email: tammy.davis@alaska.gov.